The B-47 was the aircraft upon which Strategic Air Command (SAC) based its capability pending the development and delivery of the B-52. First proposed during WWII as a high-speed piston-powered reconnaissance platform, the B-47 evolved into what would become the first swept-wing, medium jet bomber and SAC's most numerous operational aircraft. Given its pioneering role as a jet bomber and the ongoing evolution of SAC's mission and US national security, the B-47 had more than its share of teething problems. Initial Boeing flight tests mixed triumph with tragedy, and demonstrated that an entirely new way of flying a large aircraft was required. Poor reliability in the bombing-navigation and fire-control systems undermined the effectiveness of early B-47Bs but were eventually overcome as the aircraft evolved to fill many different roles. Used as reconnaissance, weather, testbed and radio relay platforms, one variant, the EB-47E BLUE CRADLE, also demonstrated its versatility as an electronic warfare jammer while the RB-47H, ERB-47H, and EB-47E(TT) undertook electronic intelligence and gathered telemetry associated with the Soviet ICBM program. 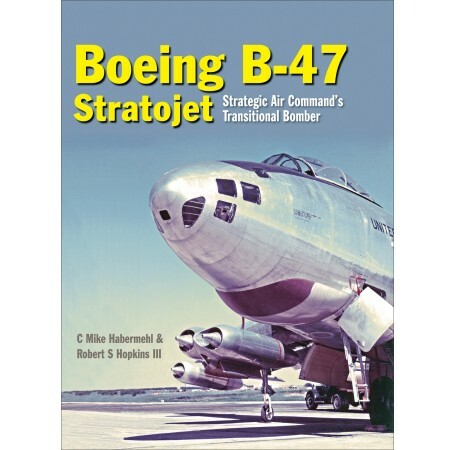 Authors Mike Habermehl and former SAC pilot Robert S. Hopkins III have combined years of research and experience to provide the ultimate history of the Stratojet. 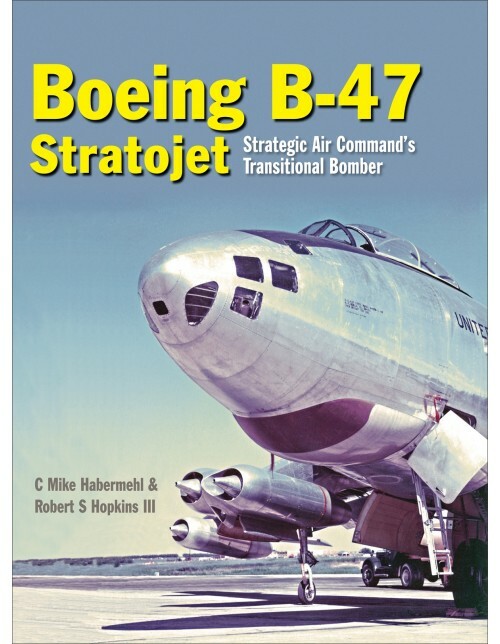 "Cr cy's splendid Stratojet study deserves pride of place in every Cold War reference library." Mike Habermehl is a B-47 enthusiast with more than 30 years of experience in collection of photographs, memorabilia, documents, and ephemera associated with the B-47. He serves on the board of directors of the B-47 Stratojet Association. Robert S. Hopkins, III, is a second generation US Air Force pilot flying 17 different variants of KC-, EC- and RC-135 during his Air Force career while his father flew B-47Es at Plattsburgh AFB, NY. In addition to multiple publications and appearances in aviation programs on the History Channel, the Smithsonian Channel, and the BBC, Hopkins is the author of Boeing KC-135 Stratotanker: More than a Tanker and Spyflights and Overflights: US Strategic Aerial Reconnaissance. He earned a PhD in US and Soviet History from the University of Virginia.